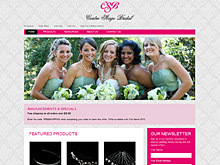 I am very happy with my site and QuikClicks did a great job with the design. I am receiving lots of compliments about how good the site looks. The CMS is also very straightforward and easy to use! Thanks!